Note: the 6 research workshops we organized in the frame of Inhabiting and Interfacing the Cloud(s) took place during the “preliminary sketches” phase. A known and common phase that takes place in the course of each design process, during which we could naturally involve peers partners and students so to increase our “trials and errors”. 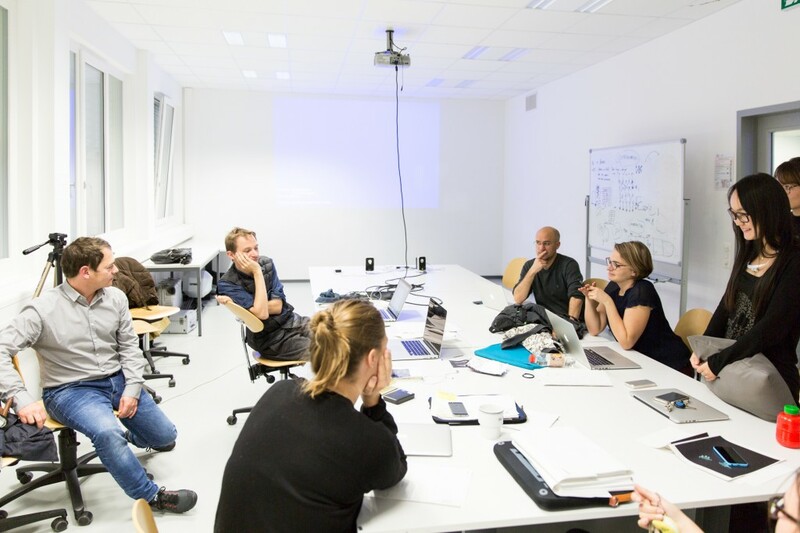 The outcomes of these experimental workshops were further analyzed in two posts by N. Nova and P. Keller (ethnographic “Lessons” and design “Learnings“), to further develop design proposals as the main results of this research, along with two publications to come. Soilless – a research introduction and a field study from iiclouds.org design research on Vimeo. Cloud Gestures – A workshop with S. Pohflepp at HEAD – Genève from iiclouds.org design research on Vimeo. Cloudified Scenarios – a workshop with James Auger at HEAD – Genève on Vimeo. 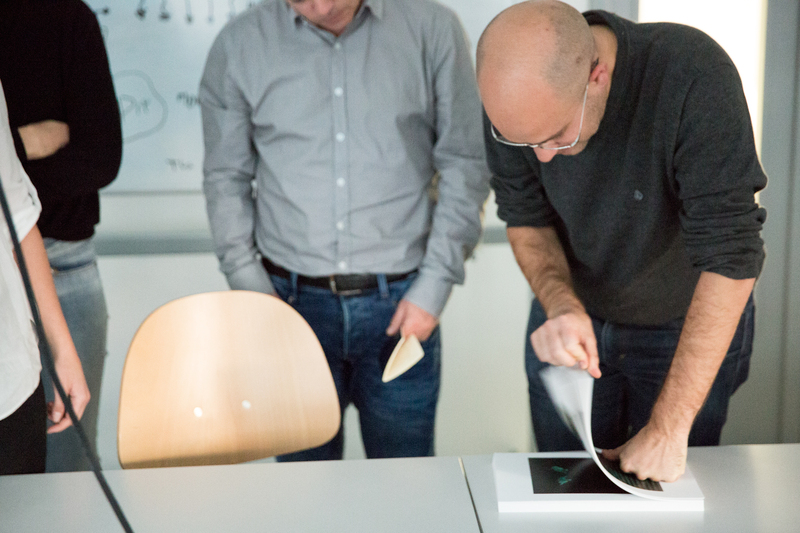 Botcaves – a workshop with Matthew Plummer-Fernandez at ECAL on Vimeo. The Everlasting Shadows – a workshop with rAndom International at ECAL from iiclouds.org design research on Vimeo. Data territories – a workshop at EPFL-ECAL Lab with ALICE from iiclouds.org design research on Vimeo. (…) Today’s web browsers want to be invisible, merging with the visual environment of the desktop in an effort to convince users to treat “the cloud” as just an extension of their hard drive. Note: the post I&IC Workshop #6 with Sascha Pohflepp at HEAD: brief, “Cloud Gestures” presents the objectives and brief for this workshop. The 6th workshop of our I&IC project lasted four days at the end of November and it was led by Sascha Pohflepp, with students from the Media Design program at the Geneva School of Art and Design (HEAD – Genève). Entitled “Cloud gestures”, the workshop addressed the representations people built when using cloud-based technologies, and, more specifically, the types of gestures they deploy when interacting with them. 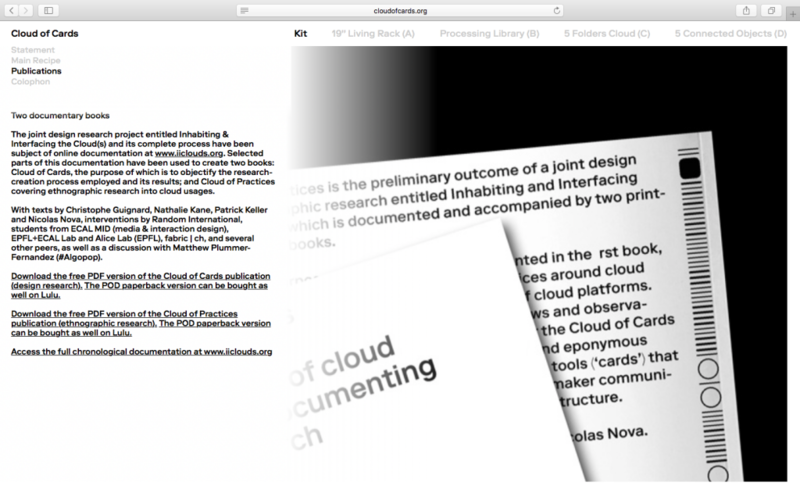 The group adopted a design ethnography approach to these issues, documenting everyday practices and designing artefacts that materialize the use of cloud computing services. This research direction aimed at generating insights, ideas and opportunities that will later be relevant for designing alternatives to existing systems. 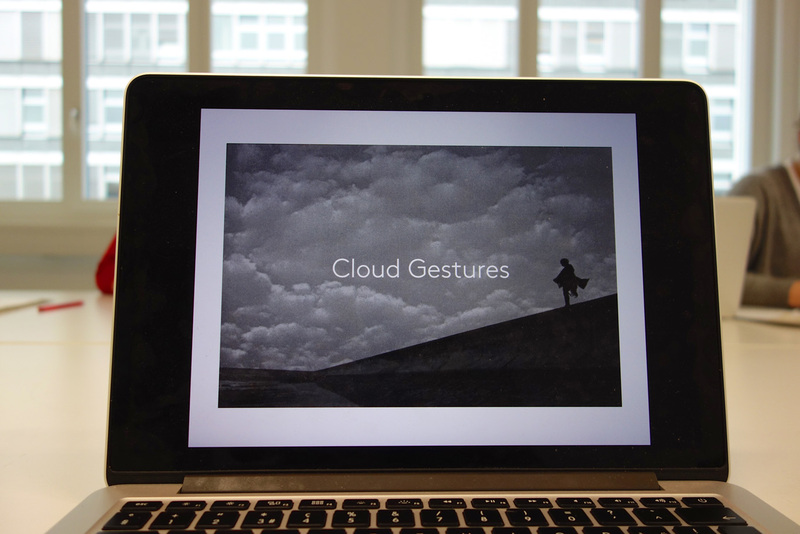 The three projects that emerge out of this workshop all address cloud gestures in their own way. The short amount of time devoted to field research/data analysis only led to hypotheses. Nevertheless, they can be seen as relevant directions to be explored in further investigations. The project explored the notion of predictions, and how data collected by sensors (and located “in the cloud”) could be used for anticipating future situations and behaviors. The student selected a group of users and asked them what gestures they did when they wanted to anticipate something, to make a decision, what happens if rain was coming, what happened if they were to receive tons of data. She videotaped this material, following their hand movement (people protecting their head, slapping their fingers, etc.). 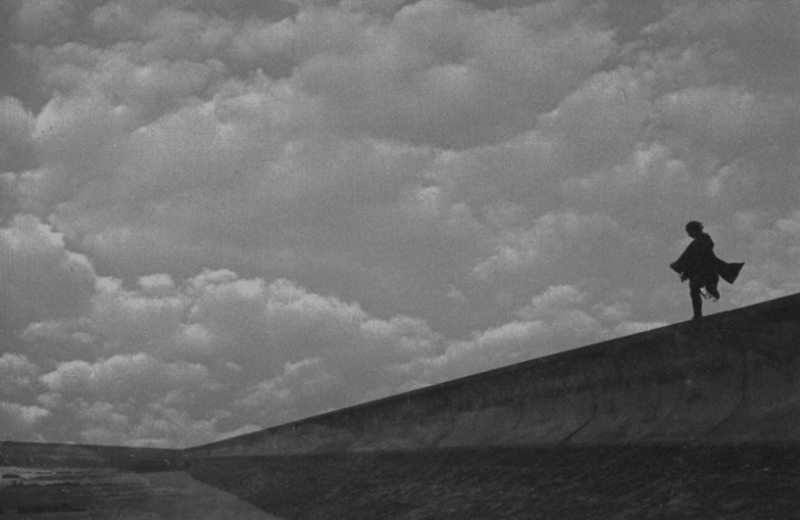 To some extent, this can be seen as a poetic depiction of anticipatory gestures, as such motion may be remotely connected to cloud technologies. The hypothesis the student wanted to explore consisted in investigating how predictions that could come from the cloud may materialize, or may be triggered by users. The output of the project is a series of little films of people talking about the future, video of human users as seen from “a machine eye” that tracks the movement of one’s hands, and detecting their intentions. Such films show how our body language, the non-verbal communication we put in place, could be a relevant way to interact with machines and cloud technologies. The group approached a group of teenage students and interviewed them about their knowledge about the Cloud, social media and networked technologies. They ask them which action they do repeatedly when they use such platform… which led to a series of “verbs” described by the users: typing, commenting, sharing, liking, stalking, uploading, communicating, etc. They then asked the teenagers to recreate them through gestures, which they videotaped in order to document these so-called “cloud gestures”. Interestingly, the group noticed how these users “use their own selves/their body as a reference” and that the gestures proposed were homogeneous between the people interviewed. The next step consisted in selecting the most salient gestures (classifying, sharing, organizing, blocking, stalking) that the group then recreated by filming them in two colors in order to create flip-books. These flip books could be seen as a documentation of cloud gestures, a material depiction of everyday interaction with cloud technologies. The other end of the data center so to say. 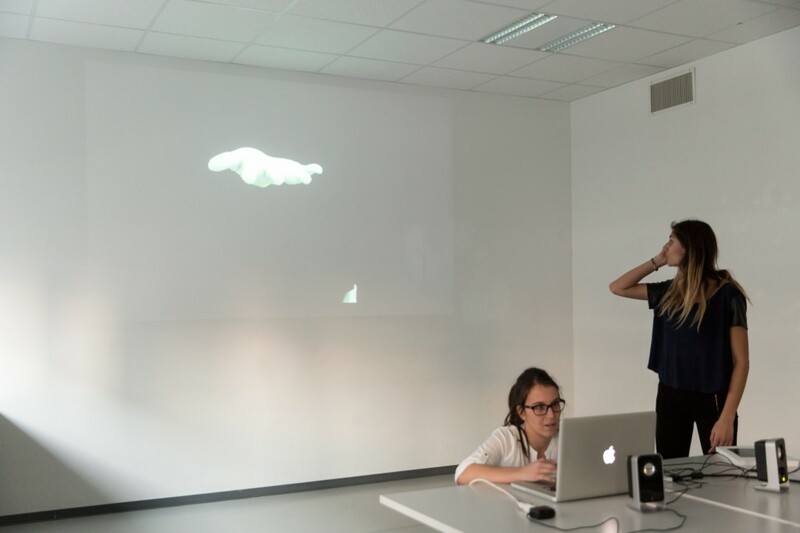 The project’s name – Cumul0mainbus – is a pun, a portmanteau word based on the name of a cloud type, and “main”, the French word for “hand”, revealing the intersection of gestural interaction and cloud tech. 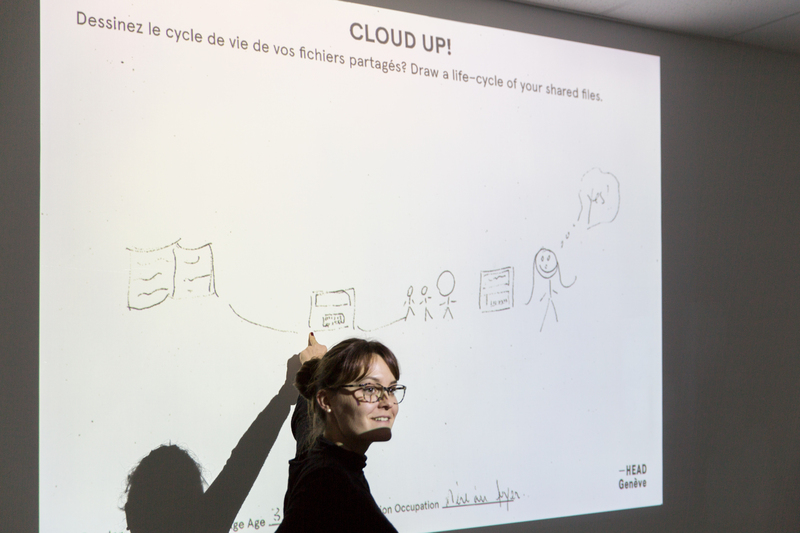 The group selected a diverse set of individuals and ask them to elicit their representation of the cloud on paper. In order to do that, they asked these people to “draw a life-cycle of your shared files”. As the question may be a tad too technical, they told them to represent what happens to their files as they use them. Their intention was to find out how people think about such issues, as well as discuss the temporality of digital content. One of the reason that motivated such approach was that “people did not understand what we meant by cloud”, as expressed by one of the group member. The drawings produced were quite abstract. One of the user represented the Cloud as Egypt’s pyramid because “whatever I share, it’s shared with my family in Egypt”. Another described a series of steps that show what happen to one’s file from a computer to a server (the latter being represented as humans). This made the students realize no one really knew how the cloud work. An additional remark is that no one raised issues about surveillance. The workshop is still ongoing and the students are busy working on various field explorations. As explained in the brief, their purpose is to observe and document everyday practices with the cloud. More specifically the focus is on gestures and representations people build about this technology. We formed three groups, each working in different directions. Note: as mentioned by Patrick last week, the I&IC project moved further and we’re now doing additional workshops. 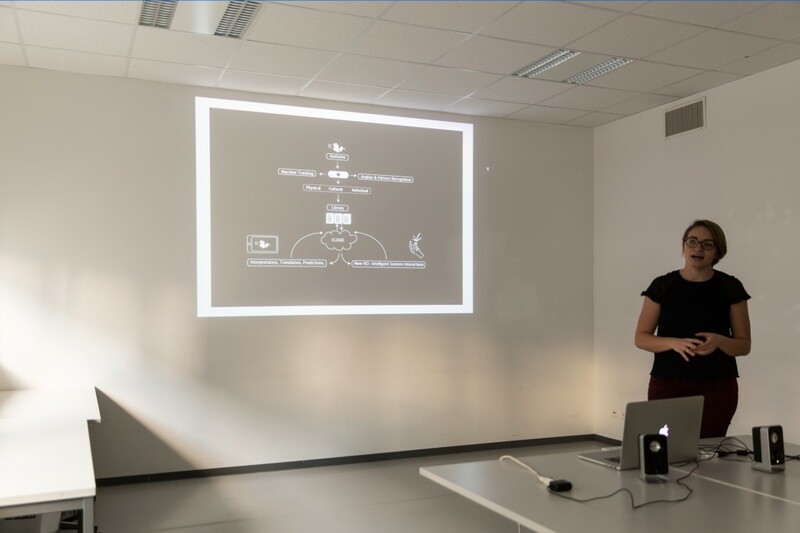 Here is the brief of the one proposed by Sascha Pohflepp to Media Design students at HEAD – Genève this week. We are being ever more permeated by clouds. This migration of aspects of our life into the digital is only going to speed up as more and more aspects of it is being captured as data and mediated by services. But what is the cloud? Does it have a physical presence? What is its language? Can we resist it? Do certain people use it in certain ways? Are users always human? Does it ever rain? What are gestures of the cloud today ? In this project we are asking you to assume both the role of a cloud ethnographer and speculative documentarian. In the first step you will do field work to find out how exactly our lives that are evaporating into the cloud. Formulate a research question, position or hypothesis and observe people, focussing on gestures and metaphors. Ask them to describe how they imagine the cloud, how they conceive of the objects they are creating and the machinery that is running it. How they feel it is affecting their life and where it may be going. Importantly, do not just consider what is in front of you, also think about the vast cascade of actions that a simple touch on a display might initiate. Some gestures may be invisible, some may take the shape of cities. Collect as much as data as you can, this is important. Give thought to your method before you go into the field. Consider some of the examples you’ve seen during the introduction and adapt their techniques to your needs and interests. For the second step we ask you to turn your data into a document of what you observed and its cloudiness. You are fairly free in terms of medium and what aspects you focus on. There will be something in your data that will serve as a focal point. Present your research in an unconventional way. Elaborate on a small gesture and expand it or focus on the whole and distill it into one gesture. Be a true documentarian or reflect on our world by situating your insights in a speculation. Re-enact (and document) behaviors; make the invisible visible or embody it; describe what you see in language or pretend you are observing a new language; pretend everything is the other way around; consider the largest gesture involved in what you have observed, consider the smallest; consider who is gesturing and towards whom; are users human? 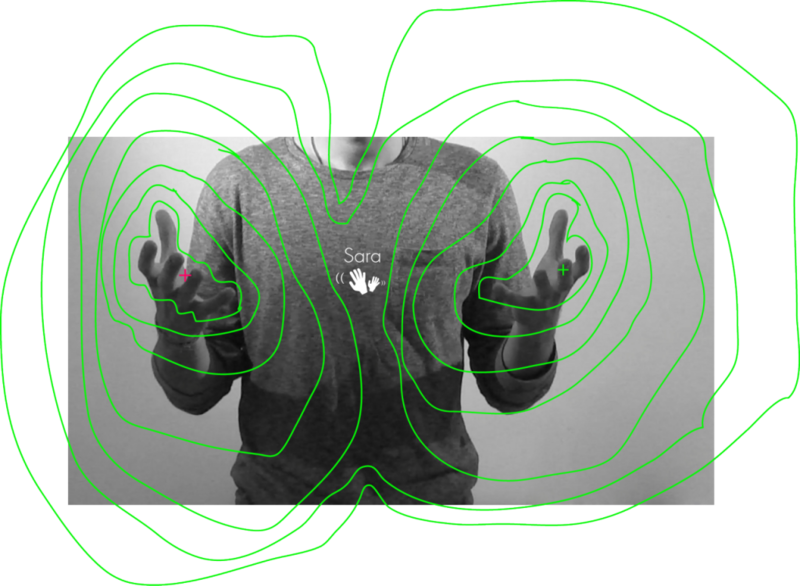 ; create maps or destroy them; re-/assign gestures; reflect the all-too human; draw. Computing has always been personal. By this I mean that if you weren’t intensely involved in it, sometimes with every fiber in your body, you weren’t doing computers, you were just a user.